Hong Kong: Joshua Wong and Scholarism's Gmail Hacked? Hong Kong: Joshua Wong and Scholarism’s Gmail Hacked? 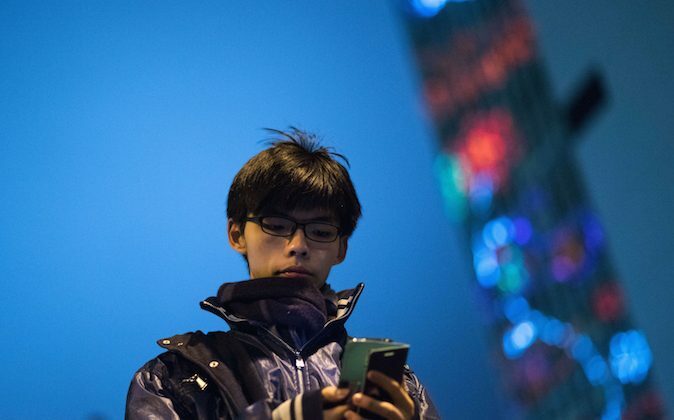 Hackers could have accessed Scholarism and Joshua Wong’s Gmail accounts. Wong, the Umbrella Movement’s most prominent face, said on his personal Facebook page Wednesday that someone had changed the settings on his Gmail account to divert all emails to two unknown addresses, “von_Jack81@yahoo.com.hk” and “josox1996@gmail.com,” Ming Pao reports. Likewise, Scholarism’s Gmail account is plagued by the same problem. Wong notes that Scholarism’s Gmail account contains information on all members of the student group. Wong told Ming Pao he suspects hackers from Hong Kong and mainland China are involved. He doesn’t intend to make a police report because he doesn’t see a need for it, but will send and store fewer emails on Gmail. A cyber security expert said Wong’s Gmail was easily accessed because he didn’t enable Google’s 2-Step Verification. 2-Step Verification is a security measure that requires users to enter an addtional code, which is sent to the user via voice call, text message, or Google’s mobile app, after keying in their password. At times like this, Joshua Wong must be wishing that China extends their Gmail ban to Hong Kong. On Boxing Day last year, China’s Internet censorship authorities took the opportunity to completely cut off users from their Gmail accounts. Although the Gmail website has been blocked from years, users could still access their accounts by using email clients. The only way to check Gmail in China now is through a paid virtual private network, or VPN. After the news of the mainland’s Gmail ban broke, creative netizens came up with an “I want real Gmail” banner based off the iconic “I want genuine universal suffrage” Lion Rock banner.